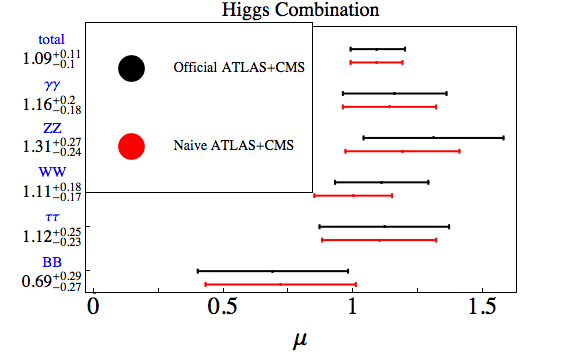 Recently, ATLAS and CMS released the first combination of their Higgs results. 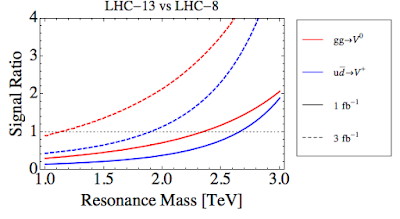 Of course, one should not expect any big news here: combination of two datasets that agree very well with the Standard Model predictions has to agree very well with the Standard Model predictions... However, it is interesting to ask what the new results change at the quantitative level concerning our constraints on Higgs boson couplings to matter. So, the official and naive numbers are practically the same. 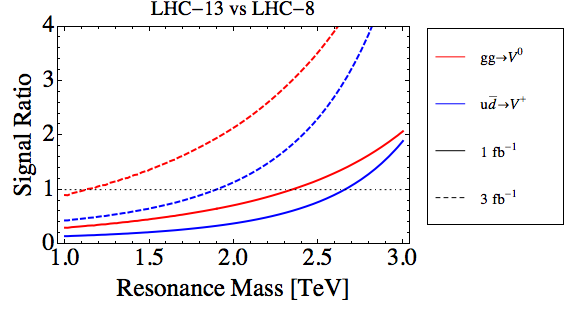 This result puts important constraints on certain models of new physics. 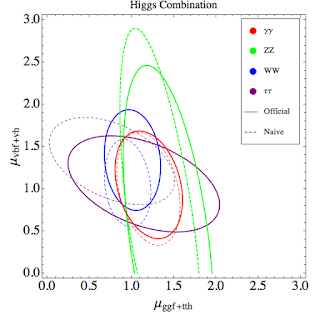 One important corollary is that the Higgs boson branching fraction to invisible (or any undetected exotic) decays is limited as Br(h → invisible) ≤ 13% at 95% confidence level, assuming the Higgs production is not affected by new physics. There is a significant shift of the WW and also of the ττ ellipse. 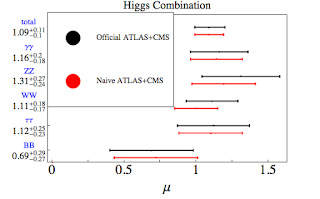 All in all, the LHC Higgs combination brings no revolution, but it allows one to obtain more precise and more reliable constraints on some new physics models. The more detailed information is released, the more useful the combined results become.